French philosopher René Descartes believed that the pineal gland, a tiny button of neurons located in the depth of our brain, was the seat of the soul. Today, thanks to palaeontology, genetic and developmental studies, we know that it is actually the evolutionary relic of a long-vanished organ, the third eye. This is also known as the pineal eye and is a receptor located on the top of the head. 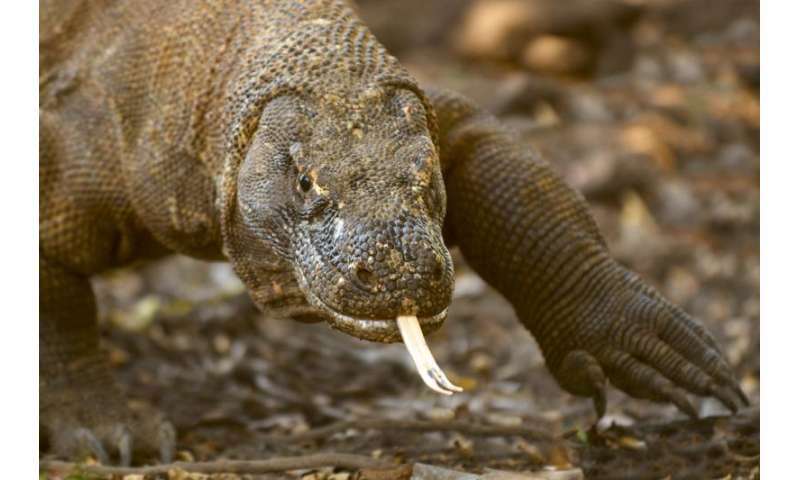 Many existing reptiles such as monitor lizards, some iguanas and the tuatara still have a pineal eye. All reptiles that still have the pineal eye today are "cold blooded"; they have what's known as an ectotherm metabolism. Modern mammals – which of course have "warm blood" or an endotherm metabolism – don't have a pineal eye. Our group of researchers at the University of the Witwatersrand wondered whether being able to pinpoint when pre-mammalian species lost their pineal eye might unlock the secret of when "warm bloodedness" become a mammalian hallmark. That's what drove an ambitious study using fossil remains from South Africa's Karoo region. We were proved right: our research revealed that mammalian ancestors likely shifted from "cold" to "warm" blood 246 million years ago. This was 10 million years before the first dinosaur even appeared. Why have a third eye? As with a regular eye, the pineal eye is made up of a cornea, a lens and a retina. Our paired eyes and the reptilian pineal eye are also very similar in terms of embryological development and the genes expressed during this. The pineal eye differs from a regular eye, though, in that it's usually covered by a thick and large scale and can differentiate between light and dark only. Our regular eyes can also see variations between light and dark, day and night – so what's the point of having an organ as redundant as the pineal eye? Research shows that in reptiles the pineal eye acts as a calendar. It can see days getting longer and nights getting shorter, and the reverse, and so tells the brain how seasons are changing. As a consequence, it monitors most life cycles such as sleep and reproduction rhythms. Surgical experiments on lizards have also shown that removing the pineal eye affects their capacity to regulate their body temperature, a process called thermoregulation. This is fascinating since our pre-mammalian ancestors did have a pineal eye and lost it in the course of their evolution toward a more mammalian condition. This suggested that by following the reduction and disappearance of the pineal eye through millions of years, we might be able to point out the time when our ancestors became "warm blooded". The pineal eye's evolution is easy to study. It has an unmistakable bony correlate, the pineal foramen. This is a tube that pierces the skull roof for the pineal eye and nerve. 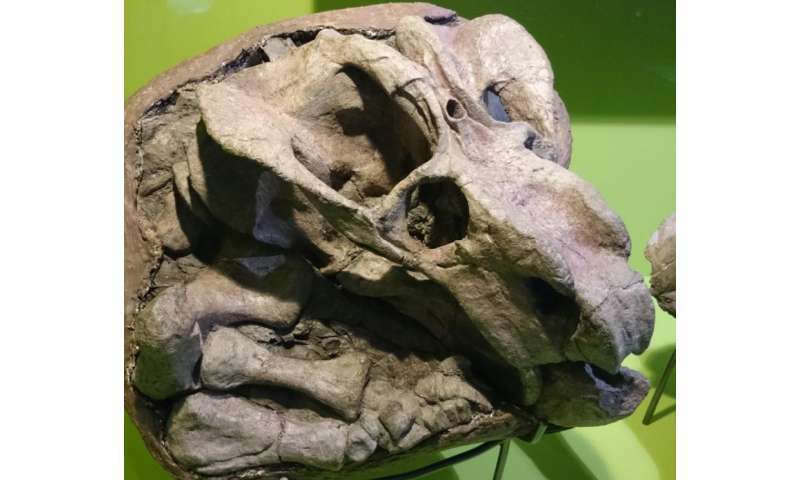 Most of our ancestors, the pre-mammalian therapsids, had such a foramen on the top of their heads, as can be seen in their fossilised skulls, and thus had a pineal eye. It's reasonable to assume that this organ fulfilled a similar role in thermoregulation as it does in today's reptiles. By checking for the pineal foramen in fossils, we reasoned, it would be possible to trace back the transition from a "reptile-like" to a "mammal-like" metabolism in the lineage that eventually led to mammals. So our team of palaeontologists and neurologists checked for the pineal foramen in more than 600 skulls. These were all found in the Karoo's incredibly rich fossil-bearing deposits and dated back to between 300 million and 200 million years ago. That's an important time period, since South Africa was situated close to the South Pole at that time thanks to continental drift. The climate, then, was much colder and drier, and the contrast between the country's seasons was greater than today. This implies that species with "cold blood" must have had a pineal eye to help them regulate their body temperature. To find a species that lived under such harsh conditions without a pineal foramen would strongly suggest that this species was "warm blooded" and that a pineal eye was no longer required to survive. We found that the pineal foramen was present in most pre-mammalian therapsids before 260 million years ago. After this the feature was increasingly absent. This suggests the pineal eye became dispensable and wasn't needed for survival any more. The increasing loss of the pineal foramen occurred in two lineages. One of these, the cynodonts, led to mammals. In their case, the pineal foramen disappeared entirely 246 million years ago. It's then, we believe, that the transition from "cold blood" to "warm blood" was achieved. More work needs to be done to test this evolutionary scenario, but if it proves true it would mean that mammals had likely already evolved one of the key adaptations that enabled them to survive for more than 200 million years through the reign and extinction of dinosaurs and two mass extinctions to the present day.